MKELS.COM is a website about web design tips and tutorials, web or business development guides and covered design inspiration on font, graphic, icon and logo. It is web blog run by Website and logo designer Micheal Kelsinger. He lives in Boston and love to work on Website Designs, Logo Designs, Graphic Designs and Icon Designs. He also blogged about designs, website design, graphic design, logo designs, fonts designs, recent trends, website development, WordPress and more importantly his own thought! 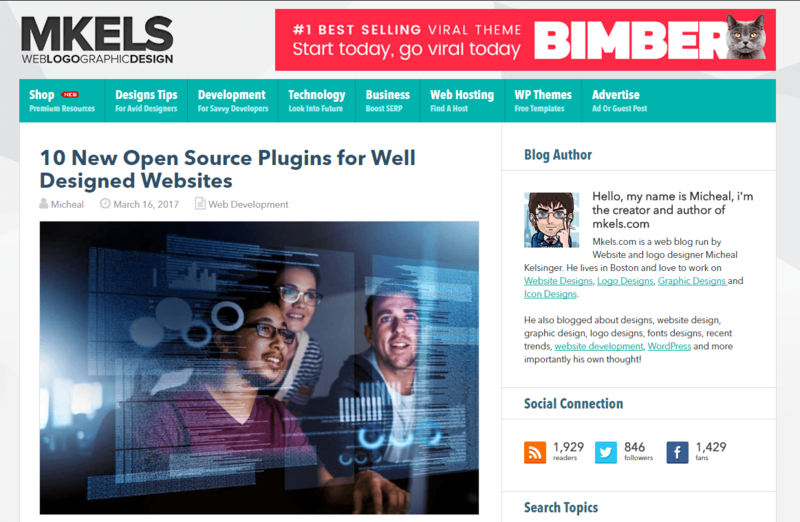 This blog cover articles on web design, website design tips, logo design, fonts design, graphic design, icon design and latest trend in design community. This blog cover topics ranging from gadget technology, mobile technology, tech that improve business and life, making it simple through technology advancement. This blog cover SEO and Business topics ranging from latest SEO news, How to Optimize Search Engine ranking, tutorial on Search Engine Optimization, learn how to do business etc. This blog cover topics ranging from free, shared, cloud, vps, dedicated and managed hosting guides and reviews. Find the suitable hosting for you that available to offer. This blog cover Free downloads for WordPress Themes, HTML5 Templates, Free PSD, Free Graphics, Free Vector Illustration and everything that is FREE.